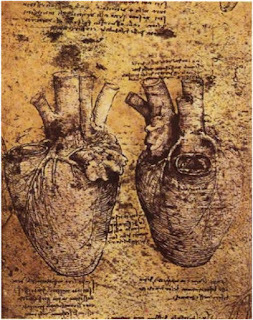 I’m reading Fitjof Capra’s book on Leonardo da Vinci, which, as far as I can tell so far makes the case that Leonardo was a great “systems” scientist – the emerging field that embraces nature’s messiness and looks for patterns within it rather than searching for one mathematical proof to rule them all. But that’s not the point – Capra was making the case that Leonardo was a genius and he cites what (he says) psychologists agree are three traits of genius. Despite my better instincts I became hopeful that I’d find myself described in the following lines. But then, just as I was ready to conclude that the Twitter-era kills geniuses, I come back to the book and learn that Leonardo would work for years doing background studies for a painting, then take off for some new project, leaving it half finished. A lot. Later Capra writes, “He always looked for patterns that would interconnect observations from different disciplines; his mind seemed to work best when it was occupied with multiple projects.” Hmm. So maybe there is value in being bombarded by information in gathering ideas, as long as you are able to achieve that trance-like focus every once and a while to actually produce something. So are the distractions of the information age creating, or crippling, genius?